Posted in: Arrests, Media Release. Tagged: Carson. 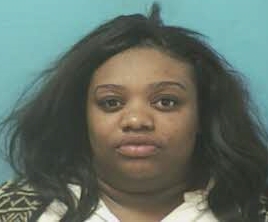 Two woman have been charged with Felony Theft, after undercover Franklin Police officers spotted suspicious activity in the parking lot of the CoolSprings Galleria Mall. At 4:30, Tuesday afternoon, FPD Flex Team officers spotted the two in a parked car. 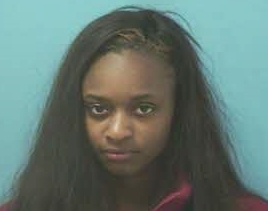 One of the suspects, 21-year-old Tiana Anderson, was putting on layers of clothing – a disguise tactic, common among criminals just prior to committing a crime. Anderson and a second suspect, 21-year-old Ja Quan Nichols, then entered Belk where officers and store security kept them under surveillance. The suspects took several items of clothing into a fitting room, where they concealed the merchandise in their purses and under their clothing. As they left the store, the thieves ran from officers who were attempting to take them into custody. After a brief foot pursuit through the mall, both suspects were quickly captured. The suspects stole nearly $1,000 in merchandise, which was quickly recovered by officers. Anderson and Nichols were charged with Felony Theft. Anderson is free on the $5,000 bond set by the Magistrate. Nichols remains jailed on the $3,500 bond the Magistrate set for her. Both suspects are due in court 04/28/2016 at 1pm.